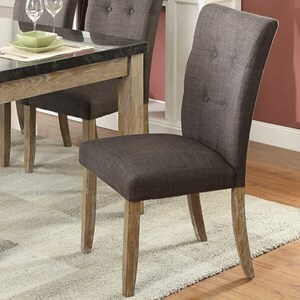 Add a versatile seating to your kitchen or dining room with the addition of this contemporary style upholstered dining bench. 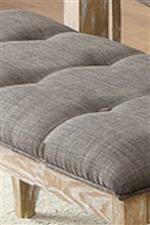 The piece features a comfortable upholstered seat with button tufting for added style. 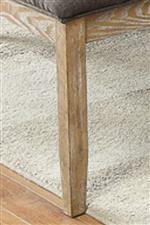 This upholstered seat pairs with a weathered wood finished base with modern style tall legs. 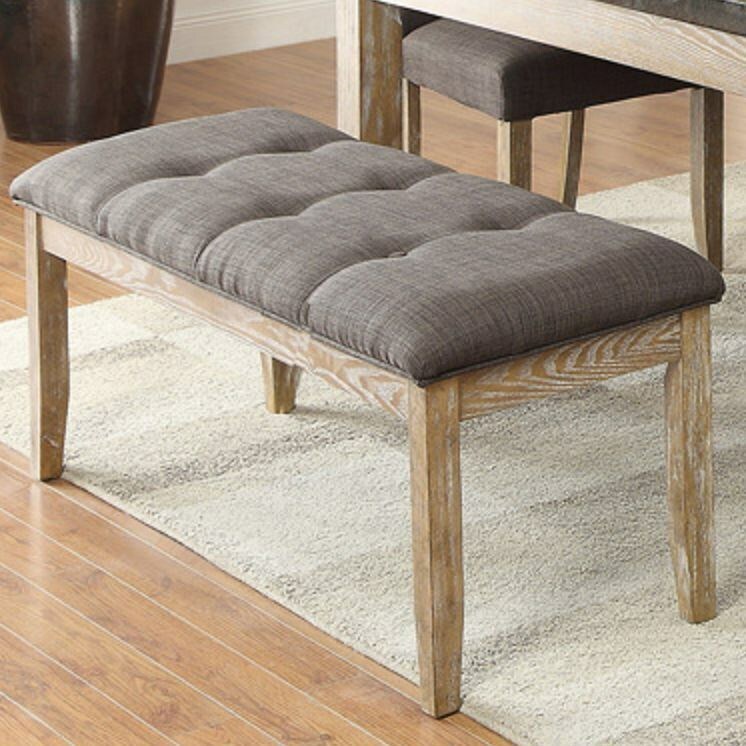 The Huron Contemporary Upholstered Dining Bench with Button Tufting by Homelegance at Value City Furniture in the New Jersey, NJ, Staten Island, Hoboken area. Product availability may vary. Contact us for the most current availability on this product. 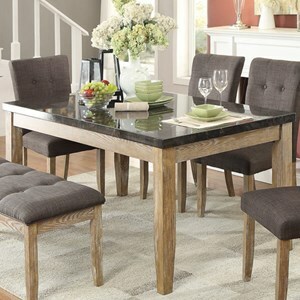 Construction Faux bluestone marble table top with weathered wood finished legs. 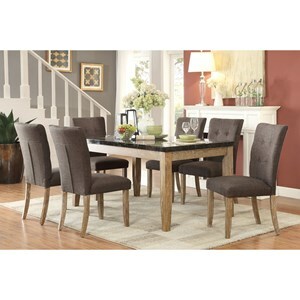 Add a unique look to your dining space with the addition of contemporary style pieces from this collection. The table in this collection features a faux bluestone marble table top complimented by weathered wood finished legs that are found throughout the rest of the collection. 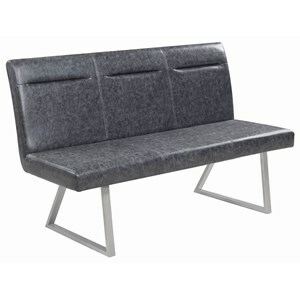 Each of the seating options showcase an upholstered seat with button tufting on either the seatback or seat depending on the piece. 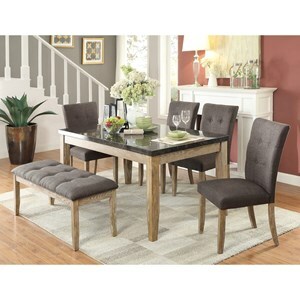 Bring home a piece from this collection to make a beautiful addition to your dining space. The Huron collection is a great option if you are looking for furniture in the New Jersey, NJ, Staten Island, Hoboken area.